Everybody seems to have an opinion about the direction of the housing market. 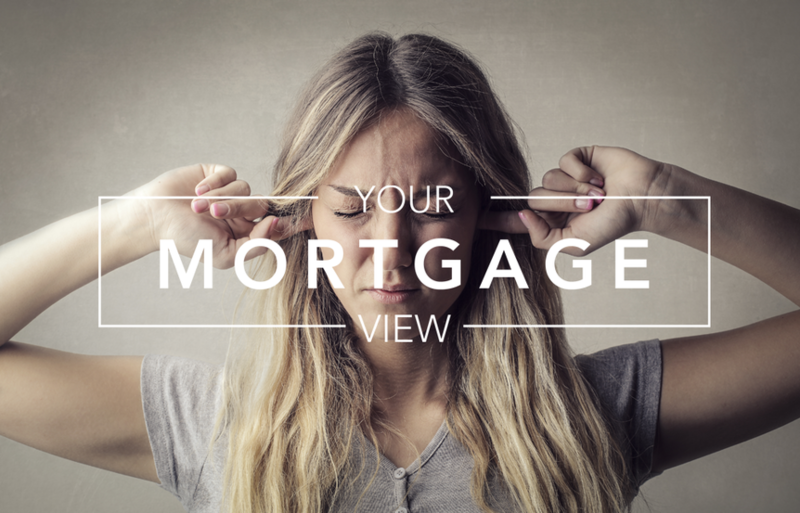 Ignore the Noise: From talk of a housing bubble to speculation that the market will slow because of higher rates, the best advice is to ignore all of the noise and turn to the facts. Wow! There is a lot of talk and speculation about the housing market these days. Some people are convinced that housing is a bubble and it will implode, dropping more than it did during the Great Recession. Yikes, interest rates have reached 4.5%, it must mean the end of the housing run is near. On a live video, one real estate professional warned that the market will turn this autumn stating that a downturn occurs every 10-years. Some speculated that the new tax law would affect the luxury market negatively. From recent volatility in the stock market to the looming trade wars, there is a lot of uncertainty out there and it has been spilling over to housing. Is a housing downturn around the corner? Will the market finally favor buyers? The answer is simple, not anytime soon. Ignore all of the noise. There is no major, upcoming downturn larger than the Great Recession. Interest rates would have to rise beyond 5.5% to negatively impact housing. No, real estate recessions do not occur every 10 years like clockwork. The new tax law is not impacting the luxury market. Stock market volatility and the trade war are not influencing housing. It is all just noise. Some of the buzz may originate from wishful thinking. For others, it may be fear generated from the uncertainty that swirls around the modern economy. Yet, all of the clamor is not based on the facts. Quite simply, nobody can ignore the data. It is a seller’s market with ZERO indicators, or trends, that the market is going to turn in the buyer’s favor anytime soon. FACT – In the past 15 years, today’s active inventory is at the second lowest level behind 2013. For the market to start tipping in the buyer’s direction, the inventory needs to rise above the long-term average of 8,000 homes for a sustained period of time. Not just exceeding 8,000 homes for a month or two; instead, it must remain elevated for years. During the Great Recession, the inventory exceeded 8,000 homes for six years. The active listing inventory is currently at 4,420 homes and does not look like it will come close to even touching 8,000. FACT – It is a HOT seller’s market with an expected market time of 55 days. Any time the expected market time, the amount of time it would take for a home on the market today to be placed into escrow, falls below 90-days, it is a seller’s market. When it falls below 60 days, it is considered a HOT seller’s market, one that is pumping on all cylinders and leaning heavily in favor of sellers. Crowded open houses, multiple offers, buyers seemingly tripping over each other to purchase, that has become a springtime norm for Orange County housing and it is no different today. FACT – More luxury homes have sold so far this year than ever before. Through the first two months of the year, there have been 444 closed sales above $1.25 million, a new record. Last year, the prior record, there were 430 closed sales, 3% fewer. So far, the new tax law has had zero impact on the trend in a record level of closed luxury sales. FACT – The supply is low and demand is high. One cannot ignore basic supply and demand from Econ 101. When very little supply, a nine-year trend, is matched with very hot demand, a six-year trend, prices rise. Even though interest rates have risen to 4.5%, current rates are still low in historical contexts, making homes more affordable. This is precisely why the rise in interest rates has not adversely affected the market. Instead, it has pushed more buyers to buy before rates continue to rise. FACT – A lack of homeowners coming on the market, especially below $750,000, is starting to eat into the number of closed sales. When there are fewer homes to purchase, sales go down. The headlines this year are going to report that sales are down and prices are up. That does not mean that the market is slowing. Instead, it means that the lack of entry-level homes coming on the market will make purchasing within this range even more challenging than prior years. The bottom line is this: facts and data do not lie. Buyer, seller, and all consumer expectations should really be anchored in fact, not the noise of rumors, opinions, or uneducated guesses. The housing market is hot and it will remain a seller’s market for the long run. Mortgage rates are trending sideways this morning. Last week the MBS market worsened by -7bps. This probably moved mortgage rates sideways for the week. 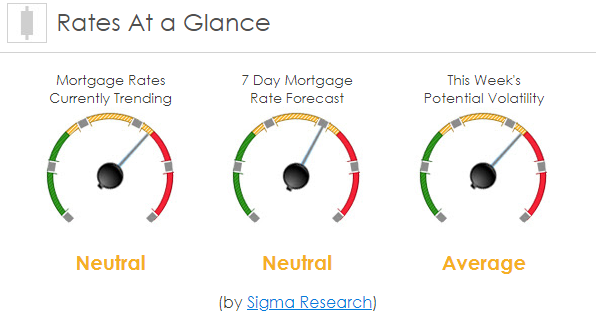 Mortgage rate volatility could be relatively high this week with all of the economic data being released.